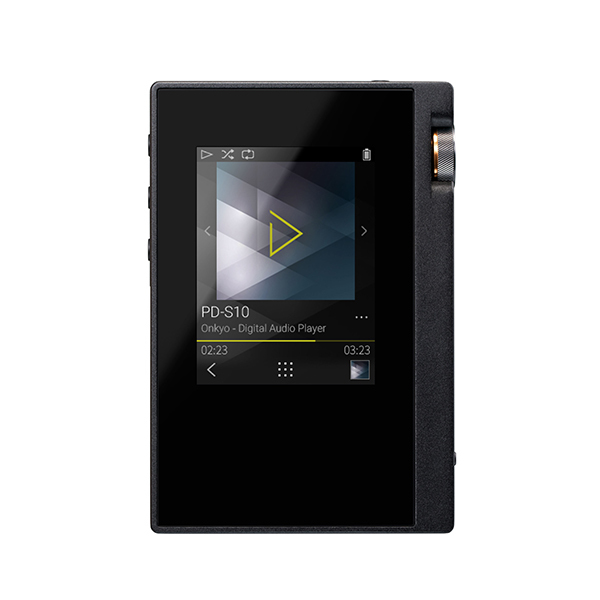 The PD-S10 has 528 GB expandable memory, Wi-Fi®, Bluetooth®, and a touch GUI. Robust audiophile design supports balanced outputvia twin SABRE® DACs and amps. It’s an incredibly compact and versatile player for hi-fi audio on the go. Store about 5,000 Hi-Res Audio tracks, enjoy lossless streaming playback, explore internet radio with TuneIn, or enjoy Hi-Res Audio direct from Onkyo Music*. Drive most headphones and connect any stereo via line or USB/OTG*, or use Bluetooth for a quality wireless connection. Crafted for exquisite Hi-Res Audio, even MP3s sound fresh. Don’t settle for smartphone sound: this all-in-one solution will change your life.